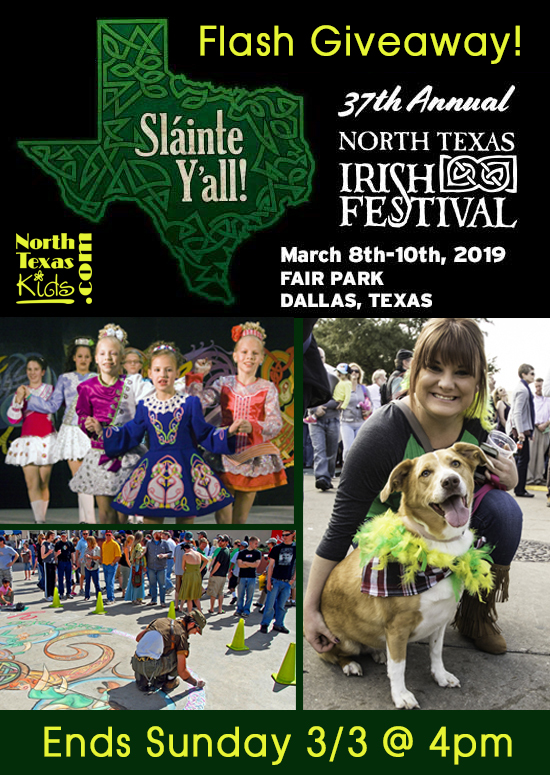 Each prize is 4 general admission tickets to any day of the festival during the weekend of March 8-10, 2019. One entry per family. Contest ends on Sunday, March 3, 2019 @ 4pm CST. Winners must respond by Monday at noon. Fill out entry form below using a valid email address. LIKE then SHARE this post from our Facebook page publicly on your timeline. Note, if your post is not designated as public, it will not count for this giveaway. Don’t forget, this contest ends on Sunday, 3/3/19 @ 4pm CST. Winners will be contacted via the email provided below and must respond no later than 12 Noon on Monday, 3/4/19. By clicking the submit button below, you are entering this giveaway and will be added to our newsletter list. The email address must be a valid email address and able to receive emails from North Texas Kids.